The Tappan Zee will meet its maker on Saturday as New York state contractors plan to blow up what's left of the 63-year-old bridge. 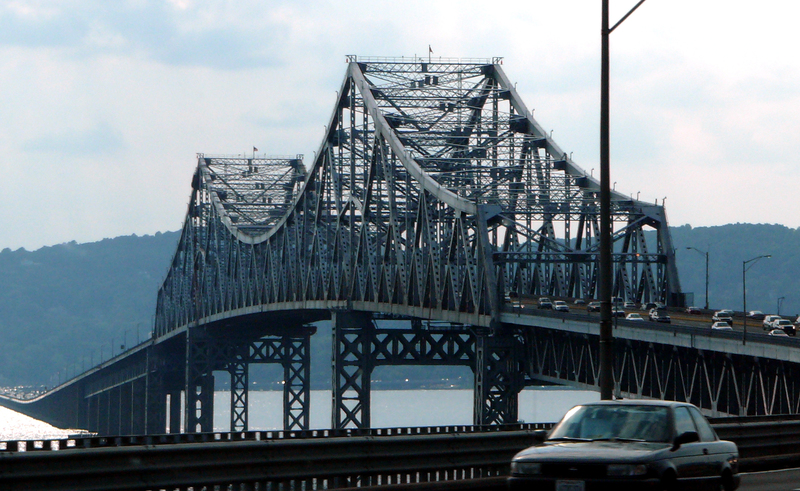 Replaced by the Governor Mario M. Cuomo Bridge in 2017, the iconic Tappan Zee will be loaded up with explosives and sent to a watery grave in the Hudson River. The steel will be recovered by a marine salvage team. Restaurants and businesses in the area are planning watch parties for Saturday morning, including the “Dim-Sum-struction of the Tappan Zee Bridge," and "The Big Bang Brunch." Several New York news outlets plan to carry the detonation live. Update: See below for important corrections to this story "Fruit Belt" is a 150-year-old predominantly Black neighborhood in Buffalo that has faced a series of systemic hurdles, each worsening the next, with the latest being the erasure of its very name, with the Big Tech platforms unilaterally renaming the area "Medical Park." Back in 2016, a "reputation management" company called Profile Defenders was caught forging court orders in order to get complaints about its clients removed from the site Pissed Consumer. This was a monumentally stupid thing to do, as judges are consistently unamused with people who forge their signatures. Governor Andrew Cuomo (D-NY) on Friday ordered two New York state agencies to investigate reports that Facebook could have access to a lot more of your personal data, if you’re a smartphone user, than anyone realized before.